Eleven-year-old Ellie is going about her everyday middle school life when her mother is called to pick up her scientist grandfather from the police station. Instead of coming home with her 76-year-old grandfather Melvin, Ellie’s mom returns with a thirteen-year-old boy with the same curmudgeonly attitude as Melvin. We soon learn that Melvin has discovered a way to reverse the aging process and was able to return his body to that of his teenage self. However, his mind and memories of his entire life are still present. He dresses in his favorite polyester pants and tie and still lectures Ellie’s mom about everything from her longtime boyfriend to when to put out the trash. 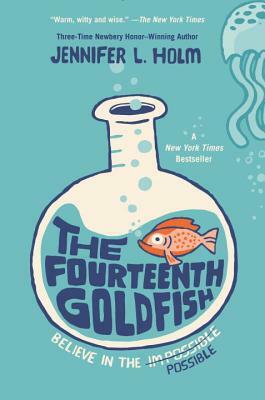 Melvin attends school with Ellie and begins to scheme ways to get back into his lab to resume work on his experiment. As Ellie and Melvin spend more time together, he teaches her about famous scientists like Salk, Galileo, Oppenheimer, Curie, Pasteur, Newton and Einstein. Ellie becomes interested in the sciences, but begins to question whether the work and their contributions to the world are always for the best. Ultimately, she comes to believe that the best of science is the belief and search for what may be possible.